WEST GLAMORGAN, U.K. (WLS) -- A photo of a barber getting down on his hands and knees to give a boy with autism his first haircut is taking the Internet by storm. Mason Davies' family had been trying to get the 3-year-old a haircut for the past few months, but Mason would always get irritated and want to stop. 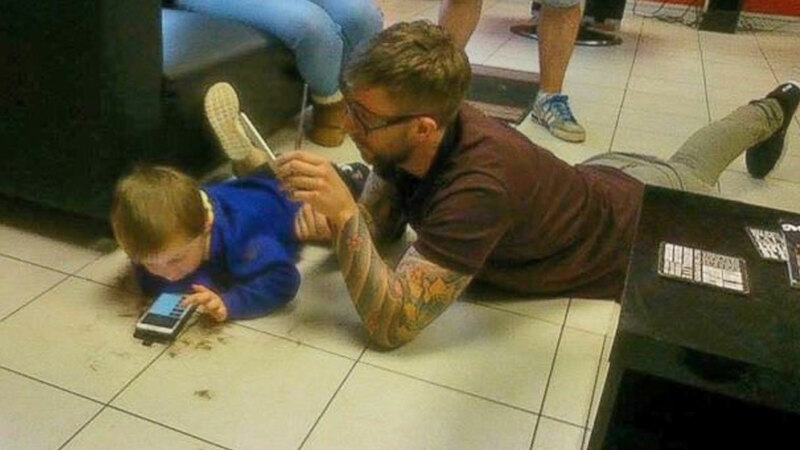 Jim Williams, owner of "Jim the Trim" in West Glamorgan, U.K., told ABC News that he was finally able to get Mason to sit still for a full haircut by lying down on the ground and giving the boy an iPhone to distract him. "I'm astonished at the impact it has made for families across the globe," Williams said. "It's amazing how it's touched so many people, but I'm glad and I hope it brings awareness for other barbers. I hope they'll take a different approach to giving haircuts for people with ASD." Mason's mom, Denine Davies, says she's grateful for Williams' patience with her son. "I think Jim is fantastic with Mason," Davies said. "He always takes the time to chat to Mason, gives him a high five each time we visit and always puts 'SpongeBob SquarePants' on for him in the salon. Williams has gone above and beyond the call of a regular hairdresser."